Tashkent is to hold the international WorldBuild Tashkent 2018 Construction exhibition, previously known as "UzBuild", Uzbek media reported on March 1. The exhibition is organized by Iteca Exhibition and its partner, ITE Group. According to the information of ITE Uzbekistan, 171 company from 24 countries will participate in the exhibition in 2018, compared to 140 companies from 19 countries in 2017. Among the first-timers of WorldBuild Tashkent 2018 - leading manufacturers from Italy, Spain, Russia, Turkey etc. Also, four major players of Kazakhstan’s construction market are among those participating for the first time - B.I.G. Engineering, Bastau, Bakarassov Concern and Polymermetall. A German Group of manufacturers will be represented by 30 companies. Big number of German companies is also connected with Germany taking the second position in the overall commodity turnover of Uzbekistan with other countries in 2017. Russia joined the regularly participating national groups from the UAE and Germany with Krasnoyarsk Region Export Support Center, Export Support Center of the Republic of Tatarstan and a number of major construction companies from the Russian Federation. A significant number of domestic manufacturers specializing in the production of various types of construction equipment and materials will debut at the exposition forum in 2018. 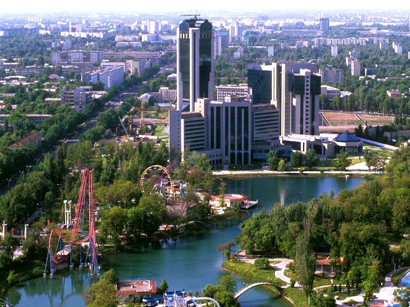 WorldBuild Tashkent is the largest exhibition in Uzbekistan in terms of space and number of exhibitors.